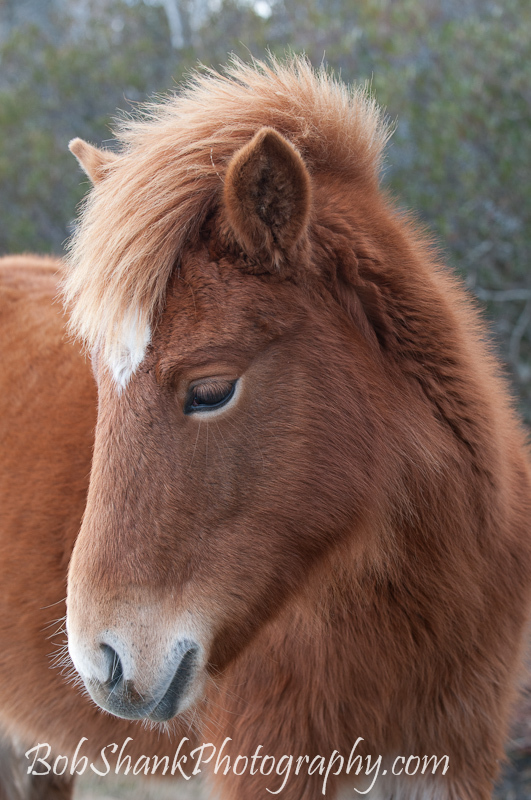 Petting the ponies at Assateague is illegal. This pony either wasn’t aware of the rule or didn’t care and wanted to test it! Not only did this pony come right up to me, just inches away, but it followed me down the trail as I walked away after photographing it. Animals are truly amazing and sometimes they just tug at my heart! This one certainly did. This particular day was extremely windy and overcast, which made for some very nice lighting. I appreciated these conditions since it 12:46pm, one of the worst times for photography. This just goes to show that you never know what might be possible at any time. I often see the ponies at both Chincoteague and Assateague, but always have many more photo ops at Assateague. These truly are amazing animals and I can’t wait to be there to photograph them again!